I read a very interesting opinion piece by Karen von Hahn in the Toronto Star recently, about how people’s tastes for luxury can grow. 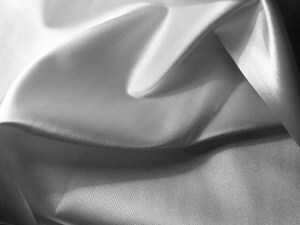 For example, after someone has slept on soft 100% cotton sheets, he or she can’t go back to percale, and will soon be wondering whether he or she can have even better sheets of Egyptian or Sea Island cotton. The same can be said for coffee; people used to expect bad drip coffee in an office — now offering visitors a cappucino or espresso has become standard. In the sport of appreciation, it seems, we are always in training. But then, whichever direction our stylistic hamster wheel happens to be turning, it seems we just can’t help cranking it up a notch. While I do think ‘upping the ante’ (as von Hahn calls it) and always looking for better experiences is important for connoisseurship and appreciation, I also believe that one can go too far in this direction, and begin to stop appreciating what he or she has. The pursuit of something better then takes the joy away from the experience. Luxury always depends on the way you interpret it, and if you can’t be satisfied with and appreciate the luxuries you have now, ‘greater’ luxuries aren’t going to make you feel more fulfilled or self-actualized. Connoisseurship, the art of appreciating fine things and understanding their provenance, importance and distinguishing characteristics, is certainly a worthy way to spend one’s time. Connoisseurs learn about objects that interest them and use that knowledge not (only) to impress people but to make others excited and see what they find so unique and interesting. No nose? Talk about calling the kettle noir. But then, I’ve always advocated calling connoisseurs “cons” for short. I’ve attended far too many professional blind tastings to have much respect for people who boast about their tasting abilities. As wines can differ so much by vintage, can we be really be critical of the connoisseur who occasionally gets it wrong? I’d say as long as the stakes are ‘impressing people at a dinner party’ and not ‘substantially misvaluing cases of wine for auction,’ it doesn’t matter that much if the connoisseur is occassionally wrong. He or she will be right most of the time, imparting wisdom and helping others learn about something worthy of connoisseurship. Most people in the wine trade understand that consumers have any number of reasons for their buying decisions, whatever their psychological and financial state. Some are reassured by easy-to-understand labels with friendly animals. Others want only naturally produced wines or bottles with a modest carbon footprint. Some are status-seekers and score-chasers, while others are contrarians, or only drink red wine. The story also mentions how people seem to appreciate wine more when they think it’s more expensive (something we’ve noted on Janus Thinking before). When people are interpreting an item and figuring out it’s value for themselves, how much should the price matter, and how much will this differ among beginners and true connoisseurs? The connoisseurship of water is a topic that’s reared its head before on Janus Thinking, and today I mention it again after spotting this article on ForbesTraveler.com, about the state of the pricey water market. That would be akin to asking where the best wine is coming from. That’s the beauty of what I am talking about… We can have many different waters with many different flavors with many different aspects, and we should really enjoy the differences and the variety and not look for just the best water. Mascha approaches water like a true connoisseur; I’m still not entirely sure that water is something worthy of connoisseurship (because you can’t tell its provenance solely by tasting it, and it’s freely available at taps everywhere), but I appreciate the attention to detail with which he examines it and the pleasure he obviously gets from it. Recently the Financial Times reported on Future Contemporaries, a new group founded by London’s Serpentine Gallery for the purpose of making younger people (under the age of 39) enthusiastic about art (and perhaps interested in becoming benefactors of the Serpentine). For £1000 annually, the Serpentine offers members a contemporary art education programme that it hopes will encourage a lifelong appreciation of art. The group has been to private showings in artists’ studios and has had personal tours by artists in private gallery settings. A membership cap of about 100 helps to keep to keep the group exclusive and also of a manageable size for intimate events. It’s a great idea for a gallery with art worth appreciating to encourage connoisseurship. Oftentimes people need a little guidance as they begin down the road to connoisseurship–and the experts at a gallery are just the people to provide it. The Greatest Wine on the Planet? the warmest, richest, most decadent wine I’d ever encountered. Even more striking than its opulence was its freshness. The flavors were redolent of stewed fruits and dead flowers, yet the wine tasted alive; it bristled with energy and purpose. As one would expect it’s becoming increasingly rare, but it remains at the top of the ‘to-try’ list for many a wine connoisseur. Read the whole article here. A new academic study suggests that the appreciation of objects may vary on a biological level in connoisseurs’ minds depending on the price of the object. 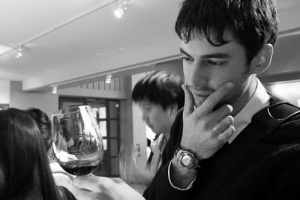 Research by Antonio Rangel of the California Institute of Technology, published last week in Proceedings of the National Academy of Sciences, found that participants in the study really thought more expensive wines tasted better than cheaper wines. Functional magnetic-resonance imaging measured greater blood flow and mental activity in the medial orbitofrontal cortices (which registers pleasure centers in the brain) of the 20 volunteers according to the reported price of the wine. Participants rated the same bottle of wine much better when told it was expensive. In a follow-up blind tasting when they weren’t told the prices, participants were not able to detect differences. Dr. Rangel believes that this suggests that price is performing as a proxy for collective learning–it’s a heuristic for allowing people to quickly evaluate something’s quality. Another possibility is that people enjoy expensive things more (on a biochemical level) because they think they’ll increase their status and mating opportunities. Can a successful marketing campaign actually make people enjoy luxury goods more than they would otherwise? It’s an intriguing thought for luxury marketers. The Courtauld Institute of Art, located in London’s famous Somerset House, is celebrating its 75th anniversary this year. The Courtauld Gallery has just launched a new membership organisation called the Samuel Courtauld Society, which gives its members greater access to the UK’s most established art world network. The Gallery has pieces which span 700 years of art history and has the most extensive collection of Impressionist and post-Impressionist art in the UK. For various contributions – starting at £500 and going to levels of £5000 up – members of the Samuel Courtauld Society get invitations to private viewings of the special exhibitions held at the Gallery, free access to the Courtauld’s resource libraries, free publications and access to its staff and director. This year’s exhibitions feature works by Walter Sickert, Auguste Renoir, and Paul Cezanne. More information on the Samuel Courtauld Society can be found here. For those who define luxury as something more for the mind than the mantelpiece, becoming a member of an art society is the ultimate luxury experience. It helps us explore all disciplines of knowledge through a consistent medium, from politics, history, and philosophy to science and medicine. What better than to combine two activities which people love: art and travel. A recent article in the Financial Times highlights a growing trend for guided, short-stay holidays centred on visiting art fairs or workshops. Sotheby’s and Christie’s both have established trips and representatives say that the level of interest has been high. The tours cover some of the most famous contemporary art events of the year, such as Art Basel, to more remote trips to visit the projects or studios of single artists. The tours aim to convey a better appreciation of both contemporary art and the broader art investment market. The art investment lectures include how to approach a dealer and get a good deal, and how to build a valuable collection. These trips show how luxury providers are finding more creative ways to link wealthy people’s interests together to create bespoke offerings to them. As the art market continues to see record prices, it will be interesting to see how demand for these trips keeps up. Portero wants to appeal to buyers who appreciate the convenience of online shopping but who are more interested in getting their hands on a specific, genuine item than in getting a rock-bottom bargain. The site aims to be the Sotheby’s or Christie’s online equivalent for jewelry, watches and handbags rather than an eBay-style flea market. The items on the site come from individuals or dealers (where Portero makes an average 25% commission on sales) or from the site itself. All items pass through Portero’s offices to be validated, professionally photographed and listed, and then gift-boxed before being sent to buyers. With eBay hosting the vast majority of online auctions, a certified used goods auction site is an interesting experiment. It’s likely the site lacks the high volume of traffic that eBay gets, but I’d bet the traffic it does get is very high quality with plenty of users serious about making purchases. That Portero handles the auction and provides a guarantee with every purchase surely eases the minds of people who aren’t experienced with online auctions. There is a market out there, call it an aspirational market, of people who really want that Chloe bag. With the pre-owned market . . . it’s okay to have last year’s. The breathless fashion customer is ours, but on the selling side. I agree. Portero provides a market for connoisseurs to find the exact items they want to appreciate; they might not see the same items anywhere else, and if they do (on eBay for example) they might have difficulty verifying them. With more wealthy people going online, Portero could be quite a success.